Zoeva Rose Golden Eyeshadow Palette When it comes to Rose Gold I just want everything. However this palette looks simply stunning and not just because it is rose golden. I've heard so many amazing things about the quality of these shadows and so know I want to get my hands on a palette. Essence Cinderella Blush After getting nothing from the Mac Cinderella range, the budget friendly brand have released their own line. This packaging is just adorable and to be honest I'd buy it just for that. However Essence products are amazing and have never let me down. Zoeva Rose Golden Vol 2 Eye Set I never have enough eye brushes. I have enough face brushes but when it comes to eye brushes my collection seriously lacks. I adore the few Zoeva eye brushes I already have and just know that I would love these and obviously the colour is just a win win situation. W7 In The City Eyeshadow Palette I cannot wait for one of my local Pharmacy's to get this in. I adore W7 products and have a feeling that these could be very similar to the Naked Basic palettes. Also I just adore having a good basics palette and this looks perfect. 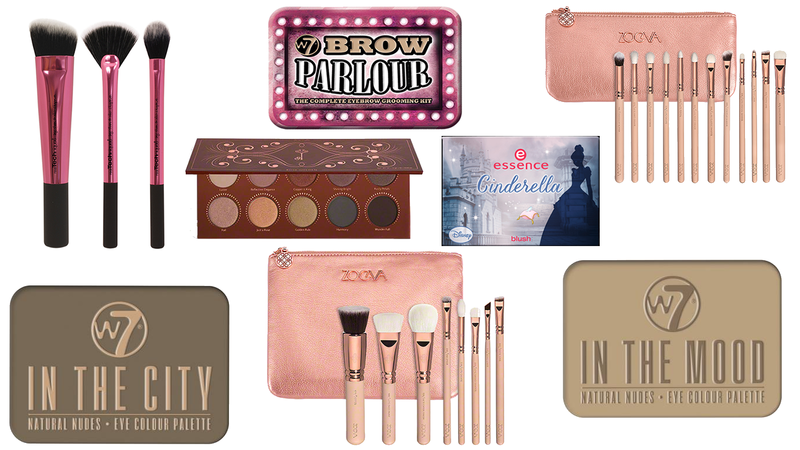 Zoeva Rose Golden Vol 2 Brush Set Of course to go along with the eye brush set I'd love to get the face one too. I have the first Rose Gold set from Zoeva and absolutely adore them. This set includes all different brushes which I really like and I am dying to try out the flat contour brush especially. W7 In The Mood Eyeshadow Palette Again just like the previous one another great looking basic palette to have and I am just so excited for the shops to start stocking them. Whats on your current Wishlist? I really need some new brushes, but there are so many to choose from! Im going to have a look in the US in Sephora as I love the choice they have. At least they ship to the UK now!